Konoha/Haruka/Kuroha. . Wallpaper and background images in the Mekaku City Actors club tagged: photo konoha haruka kuroha kuro konoha. 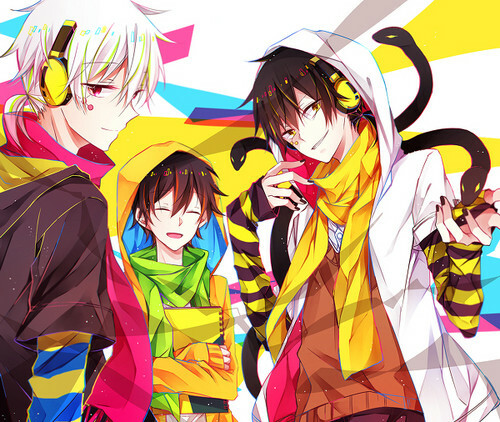 This Mekaku City Actors fan art might contain anime, komik, manga, and kartun.